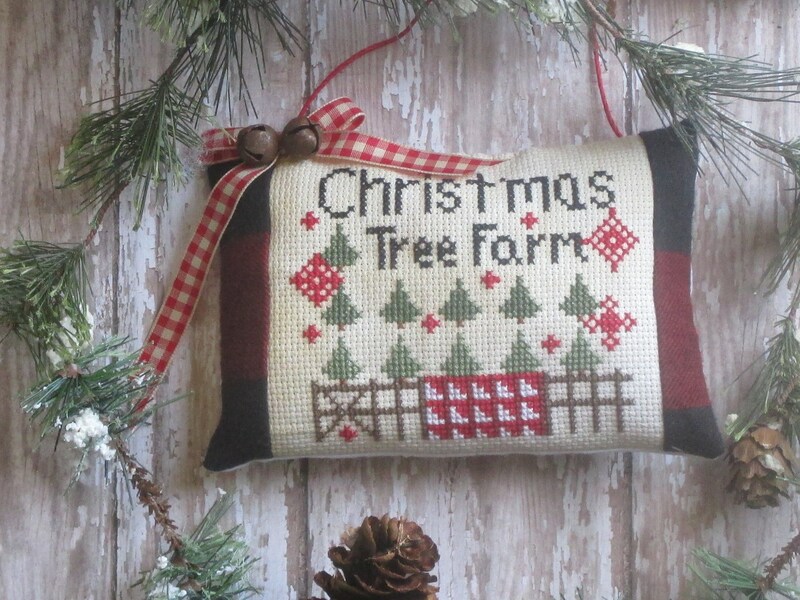 How fun to cross stitch this Christmas Tree Farm pattern. 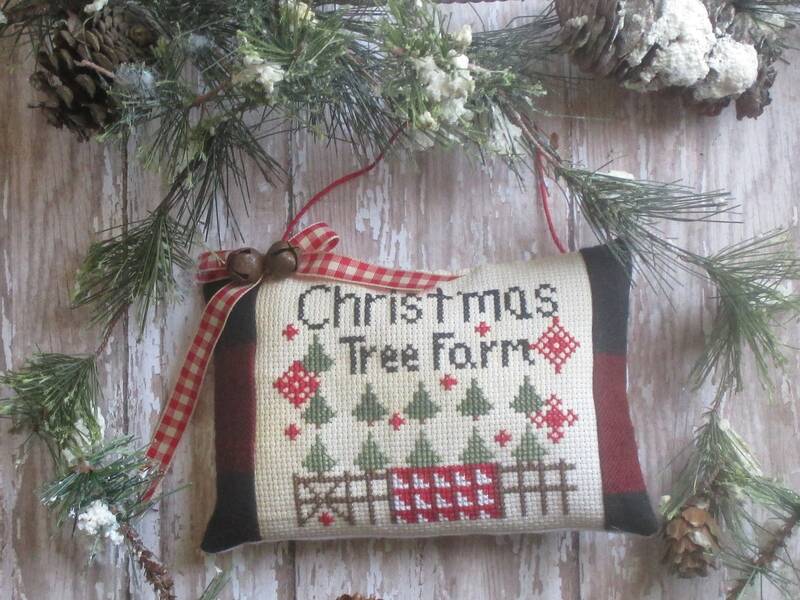 The Christmas tree Farm is full of Beautiful Pine Trees. Lined up in a row, some are tall, and some are short. When it starts to get chilly during the Holiday months, friends and family enjoy getting a Christmas tree at the Christmas Tree Farm. The smell of the pine trees is glorious and each one will be a perfect choice for someone. A beautiful red and white patchwork quilt is nearby in case someone needs extra warmth. 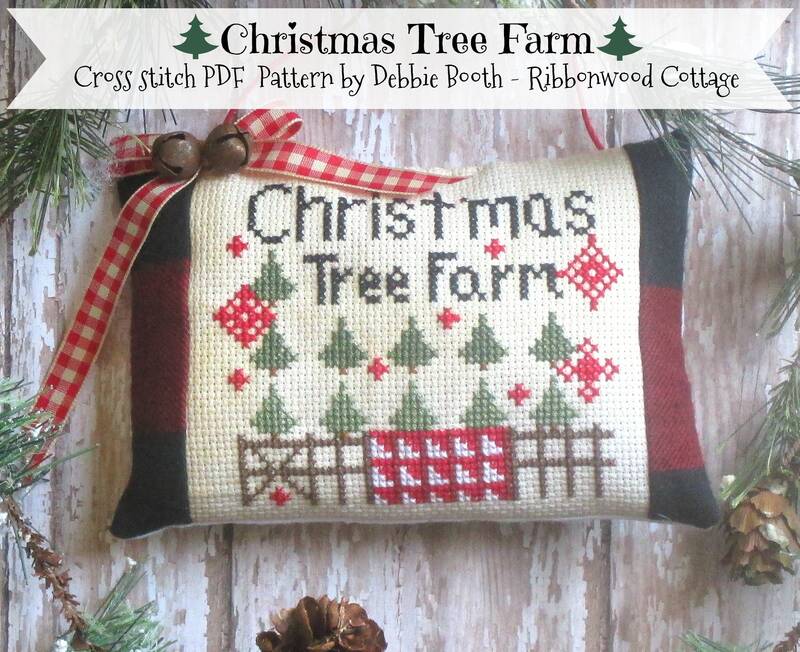 This PDF digital pattern includes the cover photo, directions for cross stitching, the color legend and the pattern which is easily printed off once the file has been purchased and downloaded. Stitched on 14 count Aida fabric that has been tea dyed. This is a cross stitch DIGITAL pattern. 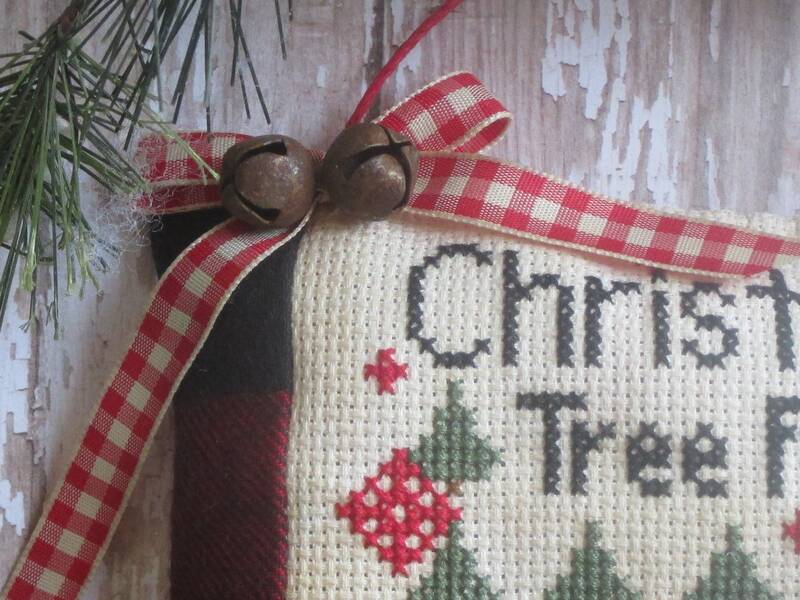 The PDF file includes the cover, the colors legend and the pattern. Love this pattern all stitched up. Love this pattern! Stitched beautifully! Thank you!